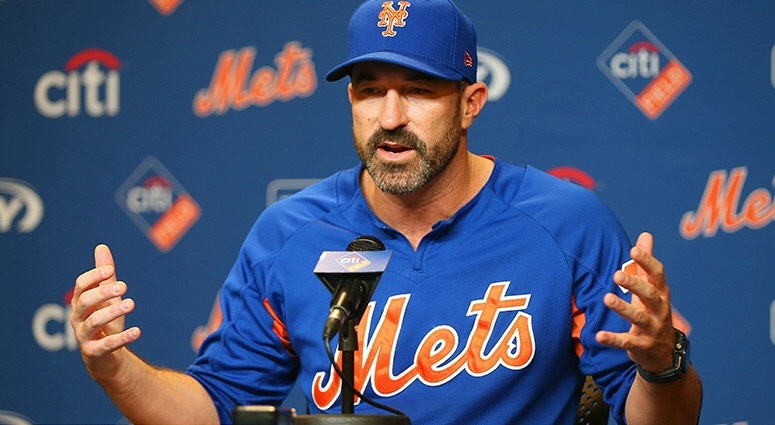 Callaway started by talking about Hechavarria playing more than one infield position as well as Brodie Van Wagenen doing a good job with addressing the team’s depth. “We want to be the best defensive team we can be because of our pitching” Callaway said, as he continued to talk about the team’s versatility. “We have a ton of play-off experience in that room, we have between the coaches and the players, 209 games in the World Series. That’s pretty impressive” Callaway spoke of his clubhouse. “We’re going to go out there, we’re not going to back down from anybody. We’re going to challenge everybody we play” was definitely my favorite quote of this presser. I’m honestly not even sure what the question asked was, however, not necessary. Great quote. When asked where Frazier would take most of his reps, “He’ll bounce back and forth. You’re going to see him play first and third, quite a bit. We want to get him as comfortable as we can at both positions, obviously he’s a great third baseman, in my opinion… he’s very confident that he can move over to first and be, probably a gold glover” said the manager.